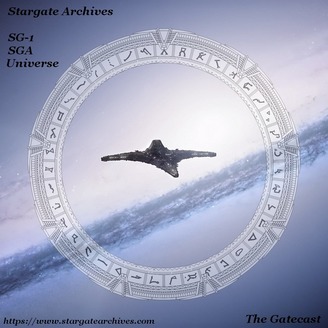 A growing archive of Stargate discussions including those of the Gatecast podcast. In this podcast I was looking for something Stargate related I could watch by myself (not as much fun on your own but you make do) and I remembered the Legend television show I bought on DVD last year but never got around to watching. Legend was a short lived show starring Richard Dean Anderson and John de Lancie about the adventures of Ernest Pratt a novelist and a scientist providing futuristic tech required to fight crime in the wild west. The show premiered in 1995 on UPN with the feature length “Birth of a Legend” in which Ernest has to travel to Colorado to figure out which his creation “Nicodemus Legend” was being credited with saving some settlers and had a warrant for his arrest for pretty much the same reason. Upon arrival he is recognised as “Legend” but soon discovers that he has been manipulated by Professor Janos Bartok (John de Lancie) who through technology moved the course of a river to make sure the local farms survived and that Vera Slaughter (Stephanie Beacham) could not control the town and its surroundings for her own nefarious purposes. Ernest despite all his self preservations instincts find himself more often than not helping the locals and becoming more like his creation Legend and with some of the fancy technology provided by the professor takes on the bad guys through investigation and action. Naturally a lot of luck and the help of the locals make all the difference but Ernest finds the best of himself outside of his dime store novels and together a new dynamic duo is formed, desperados beware. The premiere episode of Legend was a lot of fun, surprisingly not that dated or at least I didn’t find it difficult to watch, yes some dialogue is cringe worthy but overall a fun introduction to the mashup of the western narrative along with the action and I suppose you could call it a dab of science fact if you stretched your imagination a little. RDA was everything you can expect if you are familiar with MacGyver and Stargate and I suppose as a big fan of the latter I have to be thankful that Legend only had a short run. RDA along with Michael Greenburg via Gekko Productions quickly moved on to pitching and securing the Stargate tv show via MGM and Showtime and the rest is history. A little trivia as John de Lancie had also guest starred on MacGyver and letter went on to guest star on Stargate SG1. In many ways John never really made the “A” time but his resume is huge and eclectic and within the scifi genre and voice acting worlds he has made a name for himself which will least generations. I hope you enjoyed this look at Legend and I am sure I will be watching the rest of the season in due course. 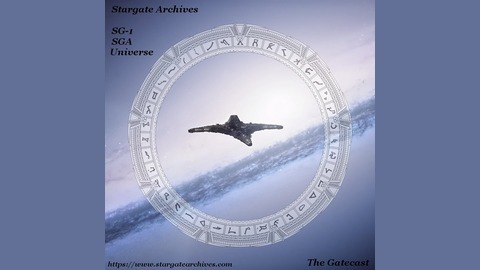 The next show will probably be back to Stargate proper, I have a few feelers out for guest but always looking for more so if you want to join me and talk about a favoured episode from the franchise please get in touch, would love to hear from you.